Our school Eco-Council is keen to encourage care for the environment and sustainable living. 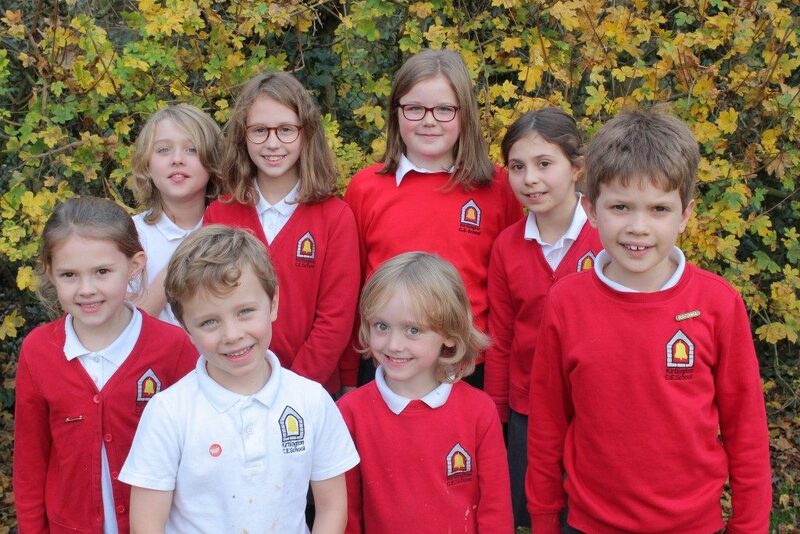 Children vote for their class Eco -Ambassadors who then attend Eco-Council meetings at least once a short term together with our Eco teacher, Mrs Vincent and Celia Hawkesworth from Sustainable Kirtlington Village Group. This year our Eco Council has been interested in supporting wildlife in our area. We arranged a successful fundraising event raising £230 for the Hedgehog Sanctuary in Bicester. We found quiet areas in the school grounds to place hedgehog homes to encourage hedgehogs to visit and bird boxes have been nailed to trees to support local birds. The Eco Council has also recently been involved in improving the pond area with the help of a £50 grant from Sustainable Kirtlington for which the children applied. This was used to buy a small tree suitable for the pond area. We also received pond edging from Sky Gardens and planted a selection of plants donated by Jean Leeming. The children also planted spring bulbs in the sensory garden which we hope will brighten the area come Spring and will encourage wildlife to visit our pond area and sensory garden. We are pleased to work with our partner school in South Africa, Dikidikanna. Both schools are growing vegetables in their allotments to help teach children about the need to grow our own food. The vegetables grown here have been used in school meals. Children at Kirtlington enjoy healthy choices at both snack time and school lunches and Key Stage 1 children are also entitled to free fruit each day. We encourage children to think about a healthy lifestyle and how to protect and conserve our environment and its resources.